A current passing thru the water makes the water to warm up. The hotter the water the more conductive they are. A self increasing cycle is formed. That’s why we prepare a 6 AMP electrolyte but use a 15 AMP fuse. In long trips of 3 hours or more prepare a weaker electrolyte to start with. Something between 4 and 5 Ampere will do the work. On the other side, if all your trips are short up to one hour feel free to prepare 10 Ampere electrolyte to save more fuel. 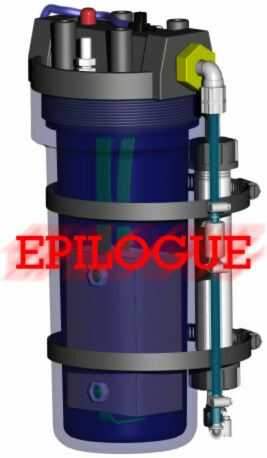 Any way the fuse protects the system from damage. Always travel with several spare fuses to cover for burnt fuse. Remember not to touch KOH or water mixed with KOH (the electrolyte) with bare hands. Experimenting with more than 15 AMP is recommended only after you gain some experience with the system. My current record is 52 MPG (mixed driving) with 20 amps fuse and HHO EFIE for lean burning (I believe that actual current was lower). I experiment with my old 97 Peugeot 205 1.4L injection, starting with 28 MPG, with the exact cell described in the previous pages. Target 90 MPG so stay tuned for updates(Updates by Email now available in the bottom). A good idea is to add permanent Ampere-meter to the dash-board and together with Scangauge 2 and the EFIE to isolate the most effective values for your car. Monster MPG is in the reach of your hands. Always Keep the water level above the plates for maximum efficiency. Prepare in advance a large quantity of electrolyte as described in the electrolyte setup page, store it in your car and add it to the cell when necessary. Naturally the next step is built and install HHO EFIE to adjust the reading from the sensor. 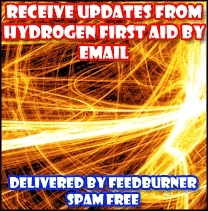 After building and installing the Hydrogen first aid cell it is time to make your car work in lean regime. This means you need to adjust your injection system / carburetor to use less fuel per cycle. Learn how on our lncreased internal combustion engine efficiency page. This site is far from being commercial and we neither expect nor wish to profit for it but research costs money and this web-site hosting and maintenance costs money. If you liked the materials and want us to continue and advance in our study (and post the results of course) please consider a small donation. Any amount will be highly appreciated.